When we first launched our website way back year 2000, we got numerous of inquiries and orders. 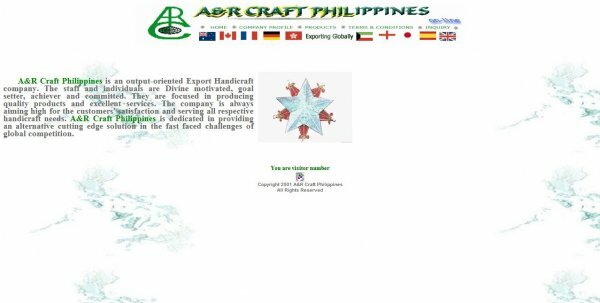 This year we have redesigned it to make more friendly and informative showcasing different handmade export-quality products. We have added many new products and there will be updates from time to time. Our newly redesigned website is dedicated to all Arts & Crafts importers, wholesalers, retailers, buyers, chain stores, crafters, designers, and artists. We hope you enjoy browsing and looking forward to hear your inquiries.